Do you create something special for your Easter dessert? 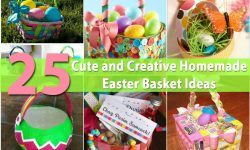 I usually do some sort of spring-like cake or something really fun with Easter eggs and bunnies. This year, I thought that maybe I would do cupcakes – kids love cupcakes, after all. So, I started thinking about decorating. While I do love cake decorating, I needed something pretty simple for this year’s dessert. And, I wanted to share my choice with you. This free printable gives you the most adorable Easter cupcake toppers! 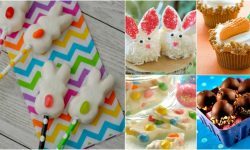 What Are Easter Cupcake Toppers? How Do You Make These Easter Cake Decorations? What Icing Do You Use For Cake Toppers? How Do I Bake The Perfect Cupcake? 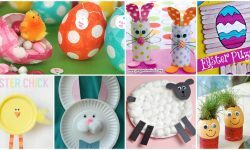 What Are Some Other Fun Easter Printables? How Will You Use These Free Easter Cupcake Topper Printables? Cupcake toppers are so much fun, and they make it easy to decorate your cupcakes. You just attach the toppers to a toothpick or tiny dowel and stick them into the tops of your cupcakes. Easy, right? 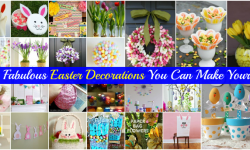 You’ll spend less time decorating and more time having fun this Easter. This printable is free – so you just have to print it off using a color printer. Once you have the images printed off, cut them out along the lines and attach them to a toothpick using a small piece of tape. You could also just lay these right on the top of your cupcakes if you prefer. I recommend using thicker paper, like cardstock for printing, so that the cupcake toppers are a bit sturdier. 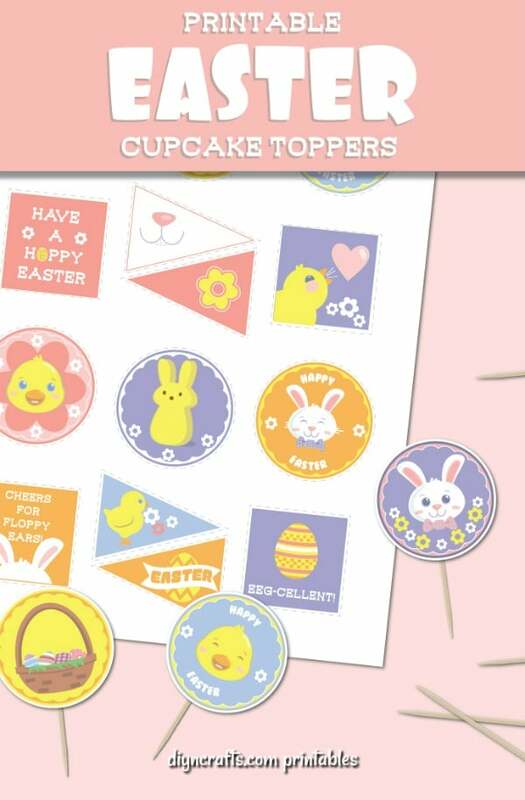 And, if you don’t want to make cupcakes, you could use these Easter cupcake toppers on top of a regular cake, too. That’s the great thing about using printable Easter cupcake toppers. You don’t have to make any special icing. Your standard homemade buttercream recipe will suffice, or you could use store bought icing. Just frost your cupcakes as you normally would and then stick in the topper decoration. You could also do marshmallow flowers and then attach the cupcake toppers in the center of your cupcakes. The perfect Easter cupcake does begin with a perfect cupcake. Use any recipe that you usually would. These Easter cupcake toppers make it so simple for you to present a decorated cupcake without too much work. And, while you don’t have to pair these with anything special, you could create a dessert extravaganza if you also bake this Easter Bunny cake to go along with your cupcakes. 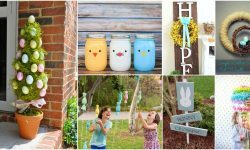 Easter printables come in all shapes and sizes. 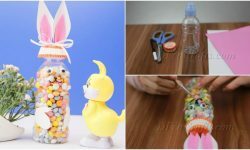 If you have little ones, free Easter activity pages are great. You can also print off this free Bingo printable for Easter, or this Easter Bunny Garland. All of these printables are so much fun!